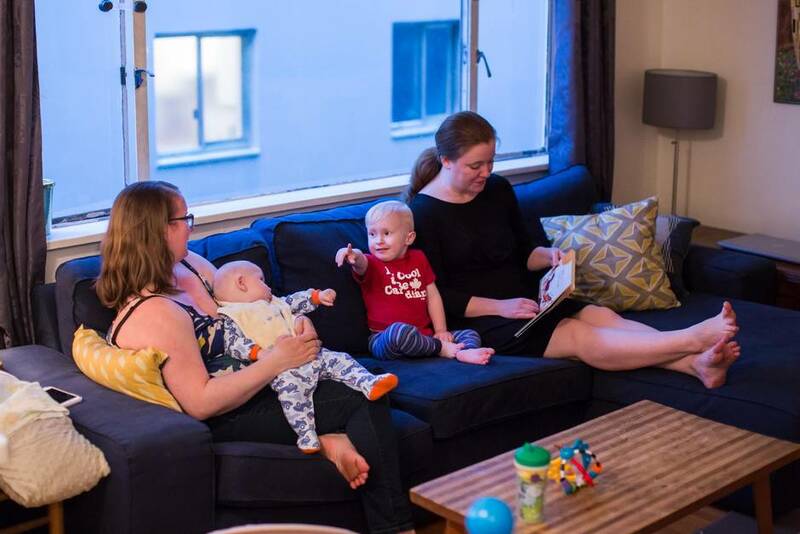 Lindsay Sutton, right, and her wife Laurie with their sons, two-year-old Gavin and five-month-old Elliot, in their apartment in Vancouver. 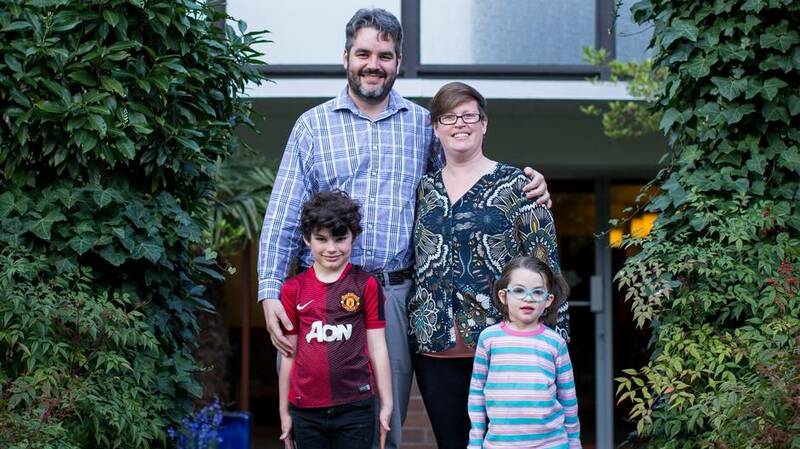 Lindsay Sutton and her wife Laurie missed the boat on buying a home. Both working professionals, they are raising their two young children in a rented one-bedroom apartment in Vancouver's West End. The cost of housing is so out of reach, they say, it's disheartening. "The idea that we could be forced out overnight scares the death out of me," Lindsay says. Income and wealth inequality is growing in British Columbia, and it is sweeping up even families like the Suttons, who should be comfortably middle class. Gary Mason: Why Green Party Leader Andrew Weaver believes change is in the air for B.C. In this provincial election, inequality is not the stuff of stump speeches: NDP Leader John Horgan talks about affordability, and Liberal Leader Christy Clark is promising tax breaks for the middle class. But inequality is shaping the campaign in many ways, from the debate around housing costs, to questions about whether the wealthy have an outsized influence on politics through campaign contributions. The widening gap in income and wealth is not a story exclusive to British Columbia. Inequality is growing across Canada and throughout much of the Western world. But in B.C. in particular, it is not only that the 1 per cent are getting richer faster than anyone else. In B.C. 's urban centres, those who happened to buy a home before the boom are the new class of "haves." Those who did not are struggling with insecure housing, and are increasingly angry about the growing divide. The BC Liberals and the New Democratic Party offer different paths forward on the issues raised by growing inequality. The Liberal government under Ms. Clark has made British Columbia an outlier in Canada, as the only province without a formal poverty-reduction plan. On housing, her government has offered a string of initiatives to cool the real estate market in Metro Vancouver, including a foreign buyer's tax and new money to build affordable housing. But she says her jobs agenda is the best way to tackle poverty. Mr. Horgan and the NDP say B.C. can do better by helping renters, investing in education, increasing the minimum wage and welfare rates – and tilting the province back to a more progressive tax system. The Liberals attack his platform by saying it is fiscally unsustainable and would deeply plunge the province into deficit. The share of market income earned by the top 1 per cent in Canada is now larger than in any decade since the Great Depression in the 1930s, according to a study by Andrew Heisz, assistant director of the Income Statistics Division of Statistics Canada. The couple are renting a one-bedroom apartment, and live in fear of a massive rent hike or a so-called renoviction. So they adapt. They have two children: Two-year old Gavin and five-month-old Elliot. The boys get the bedroom, while the moms have a bed in the living room, made as discreet as possible with the clever arrangement of book shelves. The couple have lived in Vancouver’s West End for 14 years, and the idea of leaving their community for more space in the suburbs doesn’t appeal. They have a community of friends, a church in which they are active. “We have chosen an urban lifestyle and we are happy with it.” But she is unhappy that the BC Liberal government has offered little in the way of relief – for renters or home buyers. Mr. Heisz is one of the 27 leading economists and experts who contributed to the 2016 book Income Inequality: The Canadian Story, published by the Institute for Research on Public Policy. In his chapter, Mr. Heisz concluded that the growth in inequality can be traced back to the recessions of the 1980s and the 1990s, but the effect was offset by Canada's tax-and-transfer system. The problems began to be felt when spending on social assistance and employment insurance programs was cut. The authors found that technology changes and globalization are the common themes driving inequality in OECD countries (the Organization for Economic Co-operation and Development represents 34 democratic countries with market economies), but the growing gap in market income was offset in Canada, initially, through steady increases in income redistribution by way of taxes and government transfers. That began to change in the mid-1990s, and Mr. Heisz found that the gap grew more in B.C., Alberta and Ontario than in other provinces. "After-tax income inequality rose accordingly," he wrote. Craig Riddell of the University of B.C. 's Vancouver School of Economics was one of the lead authors of the book. While Canadian politicians and advocacy groups have muddled the debate by citing conflicting data, he says the bottom line is that Canada's growing prosperity is not being shared equally. "The distribution of the gains have been extremely uneven and most of the benefits have gone to the people at the very top," he said in an interview. Between the years 1982 and 2010, the bottom 90 per cent of Canadians counted a total growth in family income of 2 per cent. (That is not an annual increase, but a total of 2 per cent over 28 years.) For the top 10 per cent, family income increased during that span of time by 75 per cent. The polarization of income earnings is just one measure of inequality. In regions where real estate has skyrocketed, another important factor is hollowing out the middle class. Helmut Pastrick, chief economist for Central 1 Credit Union, says the inequality gap in B.C. is being fuelled by real estate wealth. "It's primarily about whether you own a home or not," he said. "It's almost a have and have-not division – those who have are doing well, those who have not, have different views." Jock Finlayson, the Business Council of B.C. 's chief policy officer, said this real estate-fuelled wealth gap is the most troubling. "In the business community, we are worried about it, it's forcing people to look at living elsewhere. It's forcing people with children to live in accommodations that are not really designed for families," he said. "Those who are established in the market have all enjoyed an unearned windfall in wealth. It's also tax free. How equitable is that, from the perspective of the 30 per cent of renters, or those who bought at top-dollar prices?" What is wrong with inequality? For those struggling with poverty – the growing number of families relying on food banks, welfare recipients who have not seen an increase in support rates in a decade, and those earning a minimum wage that is far below the living wage – the problems are obvious. Anti-poverty activists last week called for a formal coroner's review of the deadly impact of homelessness, noting that more people died homeless in 2015 (the most recent statistics available) than in any year on record. But the 1 per cent at the top have a stake in this, too. A growing inequality gap can spark unrest, it can choke productivity gains and, therefore, long-term economic growth, and it can skew the political landscape. In 2016, the authors of Income Inequality: The Canadian Story inadvertently predicted the outcome of the U.S. election and the Brexit referendum, warning that an extended stretch of growing inequality can lead to a more polarized society, where fear and protectionist instincts take over. "People in those campaigns said 'the economy is not working for me' and that led to a lot of political unrest," Prof. Riddell said in an interview. 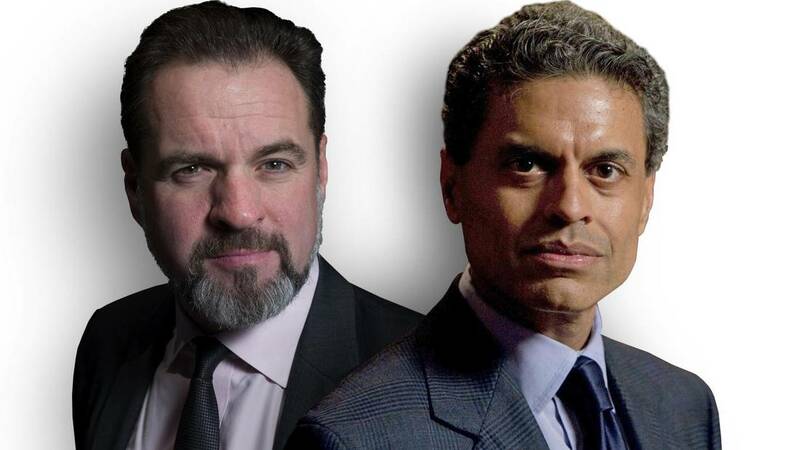 "In both those campaigns, people were able to use that anxiety and alienation and mistrust of elites and fat cats, to generate a lot of political support. That's a concern." In addition, there is the challenge raised by the lack of income mobility. Income mobility is the promise that if you work hard, you can get ahead, or your children can do better than you if they get a good education. When that mobility is not evident, those who are living at the bottom end of the wealth spectrum have little incentive to pursue a higher education, which is one reason why B.C. employers are looking abroad to find the educated workers they need. Economic growth, in a provincial economy that is increasingly driven by high technology, is hampered by a skilled labour shortage. Prof. Riddell and his fellow authors also flagged concerns about the growing ability of the super wealthy to influence political incomes. In the B.C. election campaign, the NDP have attacked the Liberals over political fundraising – the governing party pulled in more than $12-million in 2016, including at private cash-for-access dinners with the Premier worth $10,000 a plate. The NDP raised half of that amount but says it will ban union and corporate donations if it wins on May 9. "With their increased relative income comes an increased ability to influence policy through lobbying and other means," observe the authors of Income Inequality: The Canadian Story. "The troubling implication is a future in which an increasingly disaffected majority suffers from policies made by and for the few." There is no rolling back the clock on technological change that has computers taking over human work, or the globalization of economic activity where the lowest wages win the race to meet supply. But there are levers available to federal and provincial governments that can make a difference. Regulation, such as the minimum wage, can reduce poverty. But the gap between the current pay rate in B.C., and the increase to a living wage, is significant. Minimum wage in British Columbia will rise 50 cents to $11.35 an hour in mid-September, but in Metro Vancouver, the "living wage" that would allow a full-time worker to meet basic expenses is estimated to be more than $20 per hour. Still, provinces can have a lot of influence over inequality, said Prof. Riddell. "Certainly education, early childhood development, the provinces run those programs." 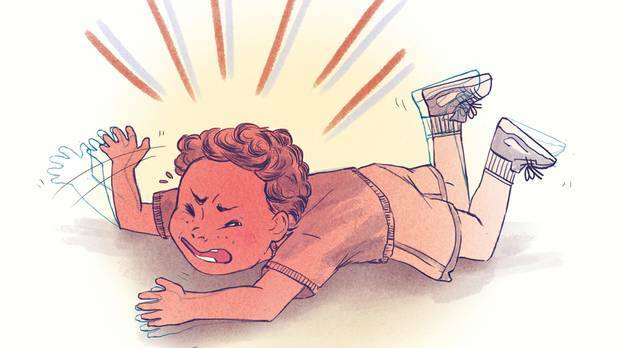 His work has found that more public spending on preschool and public school eduction, particularly for lower-income households, would improve income mobility. The real estate-driven wealth divide captures not just renters, but those who came late to the market. In the past five years, typical condo prices in the Vancouver region have jumped by about 44 per cent. That has caught Kathryn Gibbons and Tom Pearce in a bind. They bought their one-bedroom condo – all 680 square feet of it – in 2010 when Ms. Gibbons was pregnant with their first child. They planned to move into something bigger when they could afford it: Today, they are still there – with a boy and a girl. Oliver is now 6, and Linnea is 4. The kids share the bedroom; mom and dad clear away the toys and pull down the Murphy bed in the living room every night. Ms. Gibbons knows they need more space, especially as her son and daughter will need separate rooms soon enough. Like Ms. Sutton, she is upset with the provincial government for not acting on the housing crisis more quickly. Provincial income assistance programs play a big role as well. When Canada had more progressive tax policies, income inequality was blunted. However, raising taxes on high-income earners would be most effective at the national level because it would keep a level playing field between the provinces. Ms. Clark, the Liberal Leader, declined to be interviewed for this story to talk about her approach to inequality. However, she has tacitly acknowledged that the tax regime in B.C. has shifted too far toward regressive taxes – the budget her government tabled in February promises to reduce medical service premiums for families with a household income of less than $120,000. She has called MSP an outdated, unprogressive and unfair tax. But her long-standing response to demands for a poverty reduction plan is that she has one: The B.C. jobs plan. And for vulnerable groups who have the most difficult time climbing out of poverty – including single parents and off-reserve Indigenous people – there is an argument to be made that a strong labour market is a critical component of combatting poverty. Mr. Horgan, the NDP Leader, said 16 years of Liberal rule in B.C. has exacerbated inequality. "We have affluence and extravagance on one end, and abject poverty on the other." His platform, which includes $10-ar-day daycare, a higher minimum wage, and increases to income assistance rates, is underpinned by a return to a more progressive tax system where high-income earners pay more, and regressive taxes and fees such as BC Hydro rates would be smaller sources of government income. This, he said, would offer relief to the poor and the middle class "that is becoming disconnected from the dream of success" – people like the Suttons. At its root, however, the NDP plan would involve a redistribution of wealth. Mr. Horgan is cautious about how he frames it in this campaign: "I'm talking to people, there are people who have an abundance who are prepared to pay more – and I hope we don't go down a rabbit hole of tax increases – I'm just saying as compassionate citizens in a civil society, I talk to people all the time who want to help," he said. "The contrasts in British Columbia are so stark."